On CPTV: Tuesday, December 12, 2017 at 10 p.m. 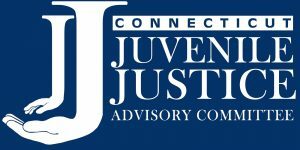 Though progress has been made, a fourth study of Connecticut’s Juvenile Justice System concludes that at certain decision points black and Hispanic youth continue to be treated more harshly than white youth. A follow-up to the 2013 CPTV documentary The Color of Justice, The Color of Justice Revisited explores what the state is doing to help decrease unequal treatment and what effect bias may have on influencing decisions made by police officers, prosecutors, judges, and the Department of Children & Families. The Color of Justice Revisited offers a timely, candid examination of how attitudes, experiences, and stereotypes are impacting young people of color. The Color of Justice Revisited is a CPTV Partnership Production with the Connecticut Juvenile Justice Advisory Committee.